A real up and down affair. Hilly, that is. And scenic. Leave from the White Plains train station and head up the Westchester/Fairfield county line. Hardpack into Bedford Village, then on through Ward Pound Ridge Reservation. 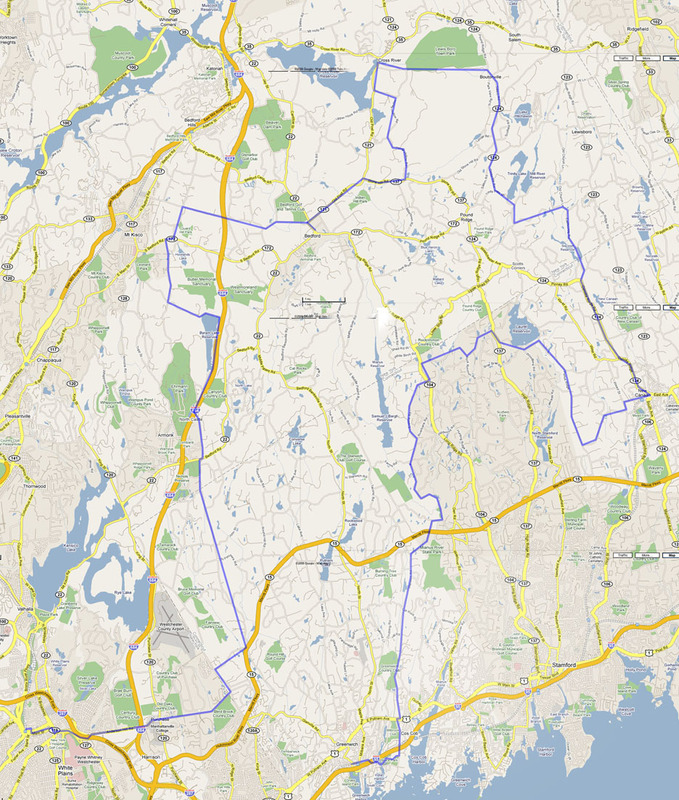 Rollercoaster through the East Woods of Pound Ridge, then scream down Oanoke Ridge for lunch in New Canaan. On through North Stamford and down to Greenwich to finish. Train it back to NYCC; Bring your MNRR pass. Did we mention it's hilly?